Part of traveling is also fine dining, and there is a great discovery of a unique culinary culture-that of Vietnam. If all Asian dishes seem the same in a database, the Vietnamese dishes have their specificity-that which makes their recipes one of the best-known cuisines in Europe recently. Whether its contemporary recipes or very traditional recipes, they are very attractive and seduce the Western palate with exoticism and the incredible varieties of unique flavors. Here are some vietnamese recipes in Mexico. The specificity of Vietnamese dishes is the use of various spices and various herbs that are found only in the region, mixed with other ingredients for a recipe. The Vietnamese also adopt special methods for cooking these meals that requires more utensils. The food served on a tour is a symbol of respect for guests and the consideration that the house owners have for their guests. The Vietnamese use chopsticks during meals, which is a device inherited from the Chinese. Vietnamese dishes are mostly centered around vegetables-fried, steamed, boiled or seasoned raw. They also use meat but not in large quantities: zebu, pork, poultry and seafood, all pass through the wok to be flavored with spices and herbs mentioned above. The most important in this traditional cuisine is the taste and nutritional value, much more than aesthetics and presentation. This is a very tasty and diverse cuisine which is also one of the main features of the regional Asian cuisine. The most famous dishes that you can encounter most frequently in restaurants are the traditional ones, reproduced, unaltered, or revised. In northern countries, the Pho is a very popular soup in Vietnamese families, the Mi xao or fries and stuffed pasta and the famous pork nem. Otherwise, you also have the central and southern dishes. 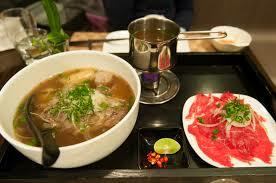 These include beef curry soup hu tieu and a certain type of fondue. Generally, the main dish served in daily consists of rice, zebu meat, vegetables, all seasoned with pepper, salt, pepper, sauce like fish sauce and soy sauce and finally herbs added to them taste and smell such as dill and basil. Otherwise, in popular gastronomic and top starred restaurants chefs have tried to revise recipes by adding other flavors or just by changing the presentation of the dish. Current dishes are spring rolls Ti me, spring rolls with chicken, shrimp or salmon, mango and avocado. Also, the Vietnamese salad and especially the famous Bo Bun with vegetable salad, pork or chicken that are seasoned with nuoc mam sauce and vinegar. There are even more than a hundred recipes that you can freely adopt and adapt to your liking. how to enjoy your stay in MexicoHow to reduce the cost of air tickets before making the purchase?